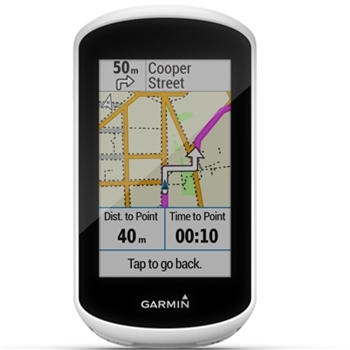 The Edge Explore from Garmin takes cycling to the next level. With its bright 3” glove friendly touch screen display and water resistant housing there is no need to cancel your workout when bad weather arises. The Edge Explore is simple to set up and you will be cycling in no time. A highly visible screen makes it easy to see directions whether you’re in direct sunlight or riding on a cloudy day which in turn allows you to concentrate more on your surroundings and less on losing your way! Preloaded with Garmin Cycle maps with turn by turn navigation and Trendline popularity routing to find the routes most traveled by cyclist, the Edge explore is a top choice among cyclists! 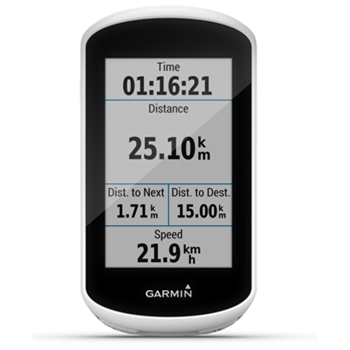 The built in GPS allows you to track how far, how fast, how high and where you ride. When paired with your compatible smartphone, you unlock connected features, including LiveTrack and GroupTrack, Smart notifications, Rider-to-rider messaging and built-in incident detection. The liveTrack feature allows you to stay connected with up to 50 friends. With rider-to-rider messaging you able to send prewritten notes from your Edge directly to another Edge when connected to a compatible smartphone. You can let your friends know if you’re behind or even if you have a flat tire and are in need of assistance. 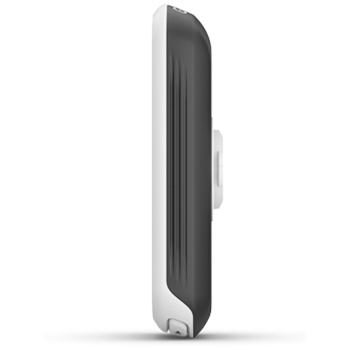 Compatible with Garmin’s Varia line of cycling awareness devices, including rearview radar and smart bike lights. When the radar is connected to the Edge your able to display alerts from cars approaching from behind right on your display. The edge explore even comes with an assistance feature that provides incident detection and automatically sends your location to an emergency contact in case an issue arises. With a 12 hour battery life the edge will provide ample power for you next ride. The edge is fully customizable - want to check the weather or even a location of a near restaurant? The edge will provide you with countless information using many app options. The Edge Explore is a great add on to your bicycle on your next trip.